Self-DisciplineMan is the supreme being. He excels in his life due to his capacity for arranging his thoughts and learning from experiences. The underlying character that helps him to achieve this is self-discipline.Learning helps one progress in whichever field one chooses. However, one must control the mind to do this. Through a systematic approach, one can train the mind to behave in the way one wants. Self-control, the sibling of self-discipline, comes through constant application only. 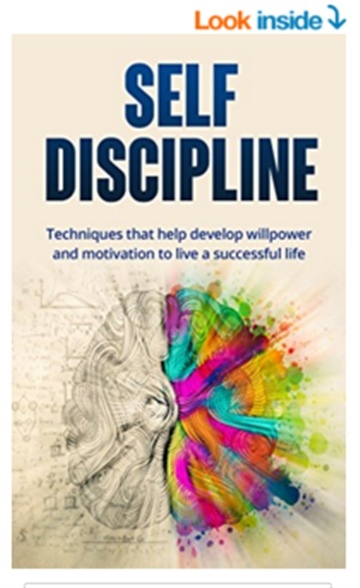 Here in this book, we will see how to take these vital steps to develop willpower and achieve motivation for a successful life.You will also read about the difficulties one encounters when one begins training and the methods of overcoming these problems. Happiness occurs when every person in the society has the ability to contribute in a positive way. Learn the methods that help one overcome drawbacks and find the right approach to becoming a useful self-disciplined member of society.In this book you'll learn..-Develop strong self-discipline-Develop key self-awareness skills-Understand self-discipline, how it works and what it is-keep moving forward when things aren't working out-Stay committed to goals and achieve them-And much more..